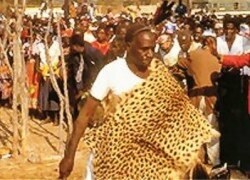 TRADITIONAL leaders should remain non-partisan and not allow themselves to be paraded at rallies by politicians as the country gears up for the August 11 general elections, Chief Sinadabwe of the Tonga people in Siavonga district has said. The chief noted that it was important for traditional leaders to remain non-partisan as they played a pivotal role of promoting love, peace and unity in the country. He told the Daily Nation in an interview that the role of traditional leaders was simply to advise politicians and inform them on issues affecting their subjects and not take sides. “As traditional leaders we are not supposed to take part in active politics because people look up to them as advisers and parents. Our role is to give guidance and not to take sides,” Chief Sinadabwe said. He said it was unfortunate that some chiefs had already started taking sides, a situation he described as unfortunate. “We need to treat all political parties equally. The tendency of siding with a specific party is not good because it becomes difficult to work with a Member of Parliament who has won from the other party, hence affecting the development of the area,” he said. The chief appealed to his fellow traditional leaders across the country to desist from taking part in active politics, saying it was against the law of the land. He reiterated that traditional leaders were respected people in society and should not be dragged into politics. “Traditional leaders should not be involved in active politics because it can influence their subjects, it does not show respect to any chief favouring any political party because it may injure people who support other political parties. “All they have to do is ensure that they encourage their subjects to participate in an electoral process of the country and help in preaching peace and unity to all people regardless of the political affiliation,” said.